The property is sold as a business real estate set with includes a restaurant/bar run under a . . . This unique country estate is located on the original site of the 13th century . 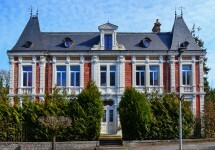 . .
Set in a village next to the town of Soissons, in the Aisne, this property features a large . . .
A unique opportunity to own a house built in 1810 with a historic well which gave its name to . . . The property is situated in Fère-en-Tardenois, a small town in the Aisne department. The . . . The house sits on a calm road, less than one kilometre from the centre of Soissons. With a . . . This charming property is situated in a typical, quintessentially French hamlet, surrounded . . . Fully and tastefully renovated using quality materials, this incredible property is ready to . . . 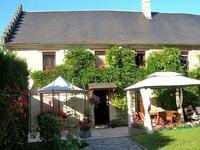 The property is located in the village of Ambleny, in the Aisne. It is convenient for . . .
A large family home, located in a pleasant village. Solar panels allow for very economical . . . 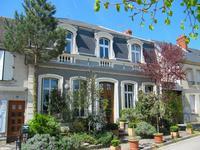 The property is located in the village of Marle, in the Aisne. The village is surrounded by . . . 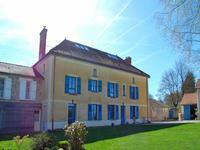 This is a large and versatile property: A stylish family home, a guest house/gîte, a large . . .